As the population of people who own private vehicles skyrockets, new automobile demands are sprouting up every day. 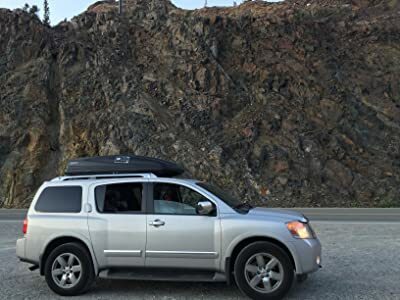 One unceasing prerequisite in every family vehicle, is the need for a mechanism to attach extra luggage on the car, without interfering with the driving quality. 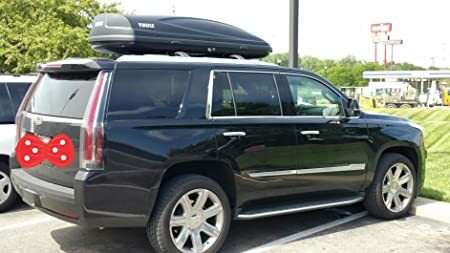 Be it a small sedan or that mean looking SUV, we really need a way to fasten those abnormal kinds of luggage on the car if they can’t fit in the trunk. 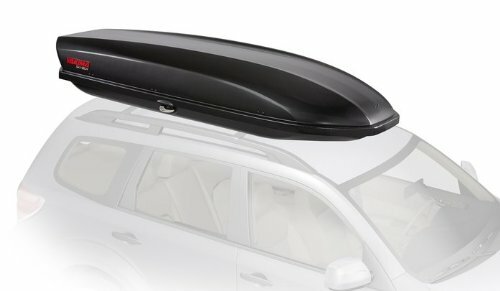 One solution for carrying large luggage on our small cars would be to tie the loads on the car’s roof while using the roof rails as an attachment. However, this would expose the baggage to natural elements like rain, wind and sunlight. 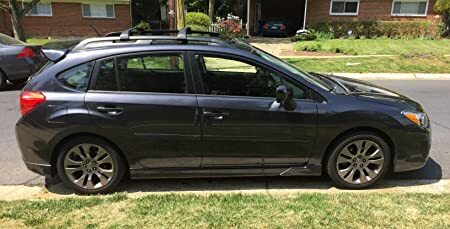 Apart, from potentially getting your gear damaged by rain, tying it openly onto your car’s roof increases the wind drag on your car hence burning more fuel. In addition trying to speed with an open load would risk getting the whole baggage dangling dangerously on the car, in case one of the fasteners snaps. In these mindboggling situations, this is where Skyboxes come in handy. 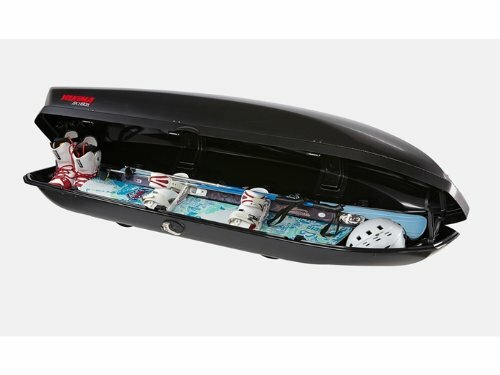 A skybox or cargo box is the most secure way to ferry your fishing gear, skis, guitars or snowboards without interfering with the vehicle’s aerodynamics. In addition, a skybox has enough space to store more than just the abnormal loads. You can fit your backpacks in the skybox too, so that you have enough room in the car. Cargo boxes come in two forms, soft or hard. 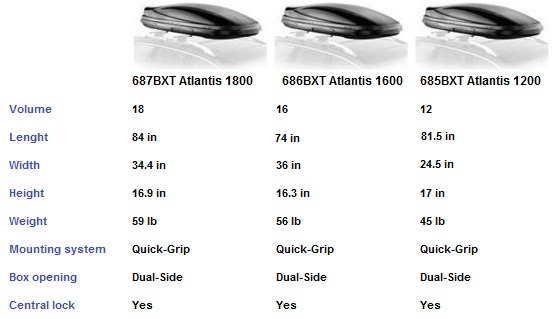 Soft cargo boxes are simply known as cargo bags since they are made of the same material as your usual backpack. They however can be attached to car racks securely. 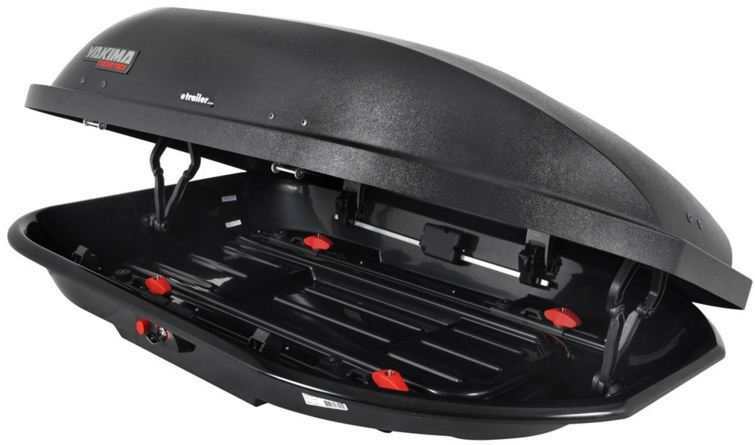 Soft cargo boxes are easy to fold and store but the problem is that they subject your luggage to natural elements. If you have enough storage space in your garage, a hard cargo box is the best option. The size of your car will also determine the kind of box to fix on it. A normal family station wagon should get at most a 16 cubic feet box. However, larger vehicles like vans and SUVs could carry up to 19.2 feet boxes. 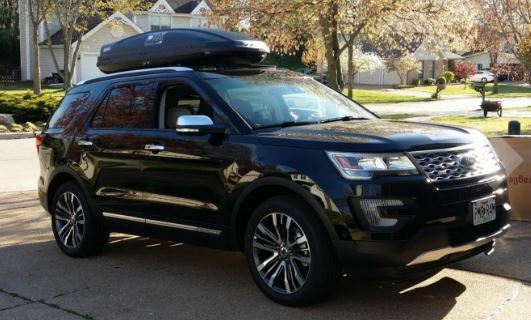 Not every vehicle comes with a roof rack support for attaching a cargo box. Such vehicles demand for a “Naked Roof” supported cargo box. 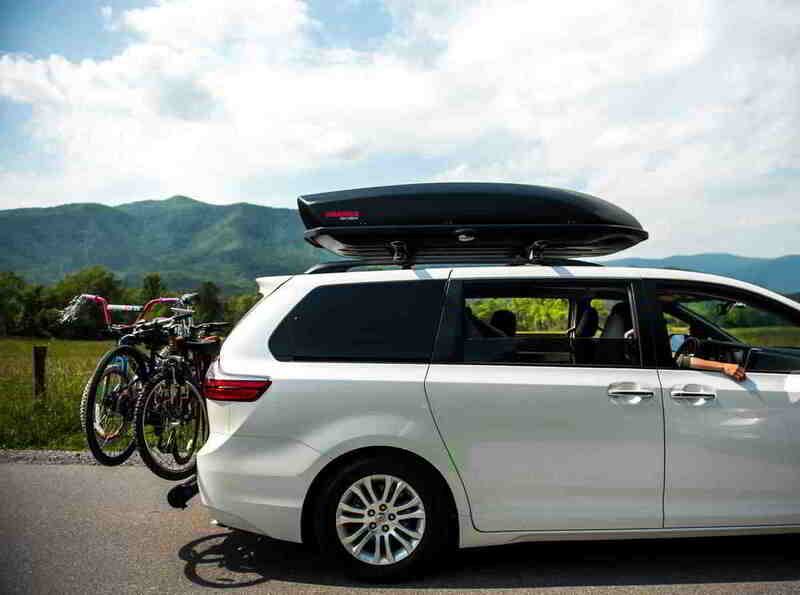 The good thing is that most companies that sell cargo boxes like Yakima, always publish their different packages for different cars on their websites. 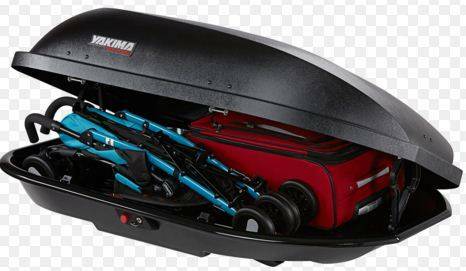 Smaller cargo boxes like the Yakima 12 can be hung from a wall using a wall hanger. 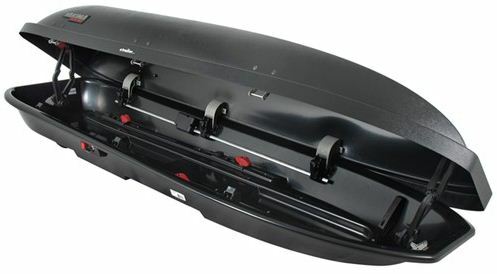 The hangers should be fitted securely on the walls and tested for firmness before you can attach your cargo box on them. 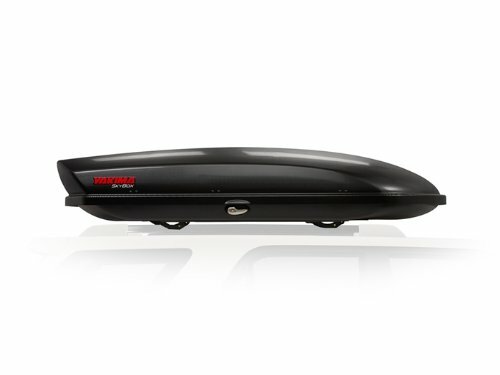 Less weighty product like the Yakima skybox 12 which weigh less than 65 lbs. are securely attached and won’t fall off. They still require an expert to drill the holes and attach the brackets firmly on the wall. In other words, the whole thing isn’t exactly a DIY affair. 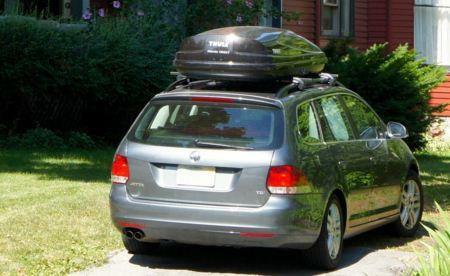 This method is particularly used for big cargo boxes like the Yakima skybox 21. These boxes are literally meant to be lifted right from your car’s roof and secured on the ceiling directly by straps. This is meant to make it easy for a remount next time you need to use the cargo box on your car again. 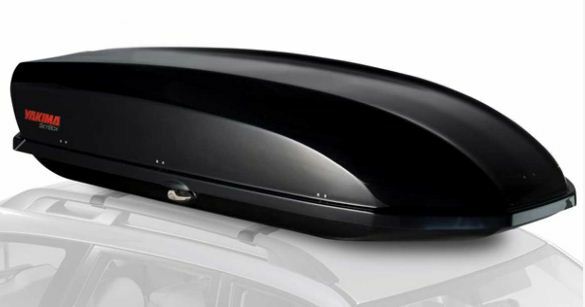 When you want to use a ceiling mounted cargo box, things are easy since it’s just a matter of lowering it on your car’s roof from your ceiling. 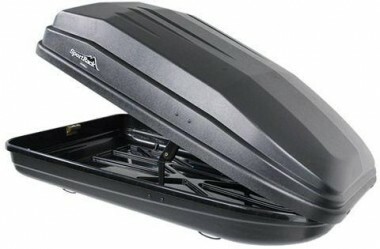 Storage is fast is easy since you just winch the box upwards after detaching it from your car’s roof rack. It comes with extra tie downs for securing the box firmly on the ceiling. No scratches on the cargo box since the hangers are padded. Consumes less space in the garage. You need an expert to help you attach the hoists on the ceiling. But you can use the manual as guide. This method can only be used in garages with high roofs, otherwise the box could hurt a tall person in the garage if the ceiling isn’t high enough. This method is only recommended for you if you have a wide floor space in your garage. Otherwise it won’t work if your garage is crammed up. 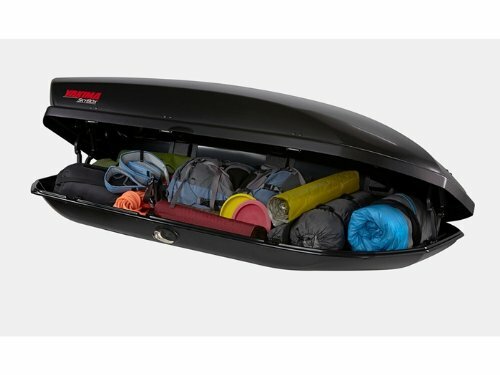 All the same, medium cargo boxes like the Yakima 18 would still be stored this way, now that they won’t take up much space either. You need roughly nothing more than 100 inches in length. It’s easy to get the box scratched when it lies on the floor. This method consumes a lot of valuable space in the garage. 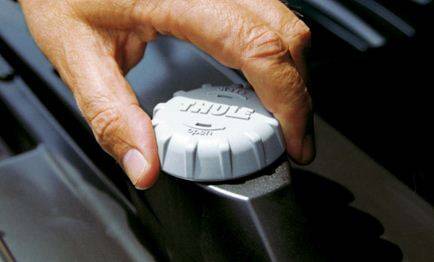 It also increase the risk of injuries to garage users. With the cargo box lying on the floor, it’s easy for one to hit it accidentally with their feet. The cargo box could also get damaged easily while it’s lying in the garage floor. 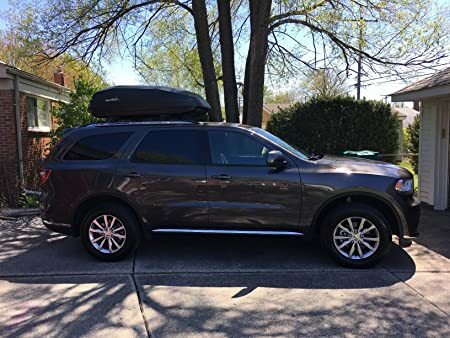 A cargo box is a handy tool for your car especially if you are the kind of person who is frequently going on camps and outdoor activities. All the same, with the high price attached on cargo boxes, it’s paramount that we store them appropriately so that they can give us a longer period of service. 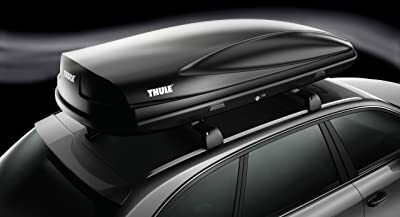 Thule Hyper XL 612 Cargo Box is a high-quality cargo box with a patented AeroNose design and a reinforced ultra-thick lid for durability. 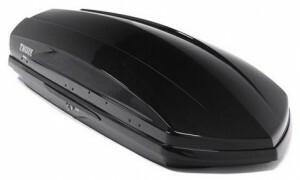 The AeroNose design reduces noise and drags thick lid gives maximum durability. It is a secure cargo that mounts easily coming with an expanded and an angled base for a maximizing hatch and trunk clearance. 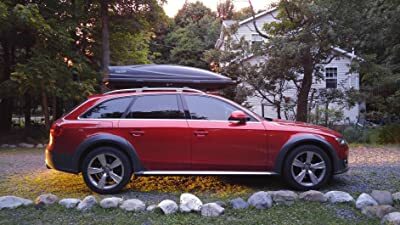 It is a top quality cargo box that benefits the users in so many ways when on travel. The box is rigid with protective foam all around to secure your items when in transit. 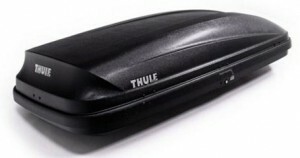 If planning a road trip then getting the Thule Hyper box will be a good way to packs your stuff and hit the road.